The Cyber Security Awareness Week (CSAW) is the largest student-run cyber security event in the United States. Organized by New York University (NYU), this event aims to bolster students’ awareness of cyber security (students from high schools through doctoral programs). CSAW is featuring competitions, workshops, and an industry fair allowing corporate and government organizations to promote and network with students. The 15th contest will be held simultaneously on several continents : New-York City (NYU) for North America, in Valence (Grenoble-INP Esisar in France) for Europe and also in Israel, India and Tunisia. AlgoSecure is a French independent consulting firm specializing in IT security. Their job is to accompany their customers in France (Lyon, Paris, Grenoble and Saint-Étienne) to secure their information system. Their expertise can be found in missions such as: intrusion test (pentest), PoC of infosec solutions, incident analysis, risk analysis, etc. All AlgoSecure members share commonalities: intellectual integrity, passion for cybersecurity, and humanitarian values. This sponsoring is mainly aimed at helping the association to design the cost of the resources needed to run this portal and to encourage its development. Our association is proud to announce the arrival of a new sponsor : Provadys ! Provadys is a french company that has offices in Paris, Nice and Nantes. They support organizations in the areas of Cybersecurity, Infrastructure & Cloud and Information System Transformation. Provadys puts its know-how at their service to address the challenges related to the security or mutations of Information Systems. This year again, Root-Me is partner of the famous French hacking conference, the "Nuit du Hack", which returns on 24 and 25 June. The NdH will gather, at the Convention Center of Disneyland Paris, all freaks, enthusiasts, professionals for conferences, workshops, and challenges. A public wargame and a private CTF will be held all night, individually or by team. 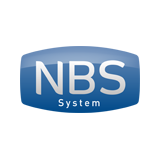 We are proud to announce you the arrival of a new sponsor: NBS System. Since 1999, NBS System has evolved in the information security and hosting sphere. With 3000 managed web sites, NBS System is the leader in hosting and e-commerce management & Magento Enterprise. As an expert in information security, NBS System has developed a private cloud with high security level known as CerberHost. Our association is proud to announce the arrival of a new sponsor: CERTILIENCE. Established in 2008, CERTILIENCE is a French IT security agency that operates mainly at the national level. Its services offered revolve around security audits, integration and outsourcing. Certilience also launched in early 2017 its Computer Attack Simulator. 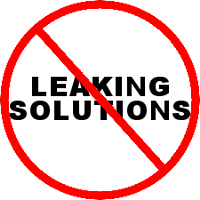 We remind you that publishing solutions on Internet (Youtube, Github, personal blog, ...) is forbidden. Every player that won’t respect this rule will be banned and tagged as "leaker" (on every page where he occurs) as long as its solution stays publicly readable. Root-Me has a lot of challenges, however, if we can easily find the solutions on Internet, intentionaly or not, there is no more "challenge". Obviously, there will always have cheaters looking for the solutions to show their "big score", without knowing and learning anything. We don’t really care that much about cheaters. Last but not least, don’t forget that you can share all your efficient or surprising solutions, directly on Root-Me (only the players that already solved the challenge can see them). Even if this message concern a minority of you, thank you everyone for your comprehension. The first Toulouse Hacking Convention will take place on March the 3rd in the premises of the INP-ENSEEIHT. Before the CTF that will take place on night, you can assist all day to conferences about IT security. The entrance is free, however seats are limited, so register now!